International Gin & Tonic Day: How do you like your style of GIN? This year when you celebrate International Gin and Tonic Day on the 9th April, why not prepare your G&T with three refreshingly different tasting gins from England's oldest Gin distilling company. Quarter two strawberries and place in a balloon glass. Add ice and pour 50ml of BLOOM Gin over the ice. Top with 200ml of Fever-Tree tonic water. Stir gently to ensure that the flavours are well mixed. 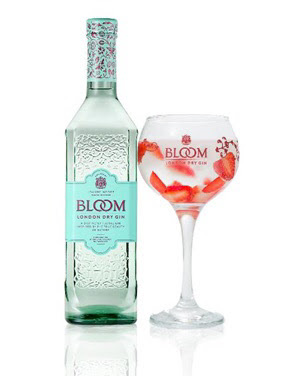 BLOOM Gin's elegant bottle and delicious floral flavour appeals to occasional gin drinkers and gin aficionados alike. It is distilled by one of the world's few female Master Distillers, Joanne Moore, who chose the flowers of chamomile and honeysuckle, with the citrus fruit pomelo to make up the three main botanicals for BLOOM. 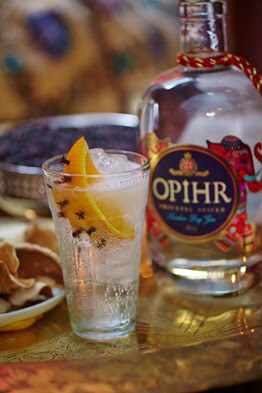 Pour 50ml of Opihr Oriental Spiced Gin into a highball glass over ice cubes. Add 200ml Fever-Tree Tonic and garnish with a wedge of orange studded with cloves. 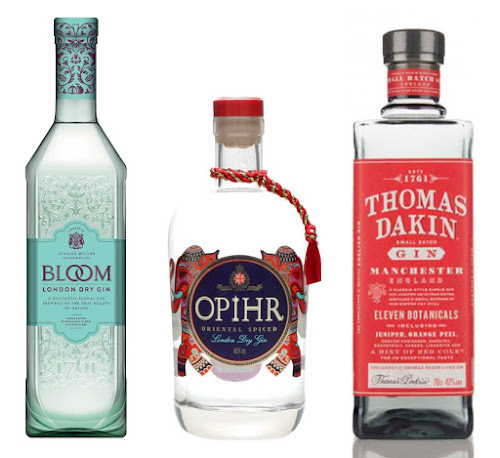 Opihr Oriental Spiced Gin has a beautiful bottle and its hand-picked botanicals epitomise the exotic intensity of the Orient, with spicy cubeb berries from Indonesia, cardamon and black pepper from India and coriander from Morocco. Pour in 50ml of Thomas Dakin Gin and top with 125ml of Fever-Tree tonic water. Garnish with a twist of orange peel and a sprig of coriander. 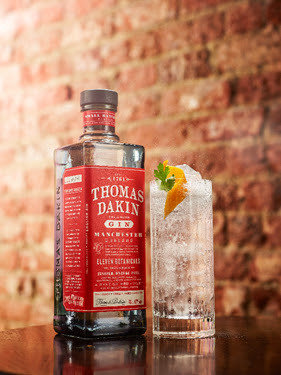 Thomas Dakin Gin is a classic style London Dry Gin which takes its name from the forefather of English Gin, Thomas Dakin, who created the world's first quality gin in 1761 in the North West of England. The Master Distiller uses a secret recipe of eleven botanicals, including some traditionally used for making cordials in the 18th Century, as well as juniper, orange peel and English coriander with the unique addition of red cole to give the gin its long, lingering finish. Horseradish, or red cole as it was known in Dakin's day, was used to revive weary travellers journeying by coach and horses from London to Scotland.